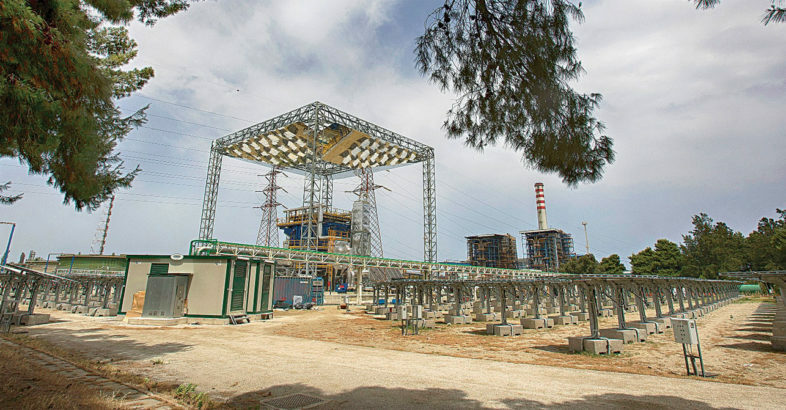 On June 30, 2016, the first STEM® (Solar Thermo Electric Magaldi) industrial model plant started operations in San Filippo del Mela (Sicily). 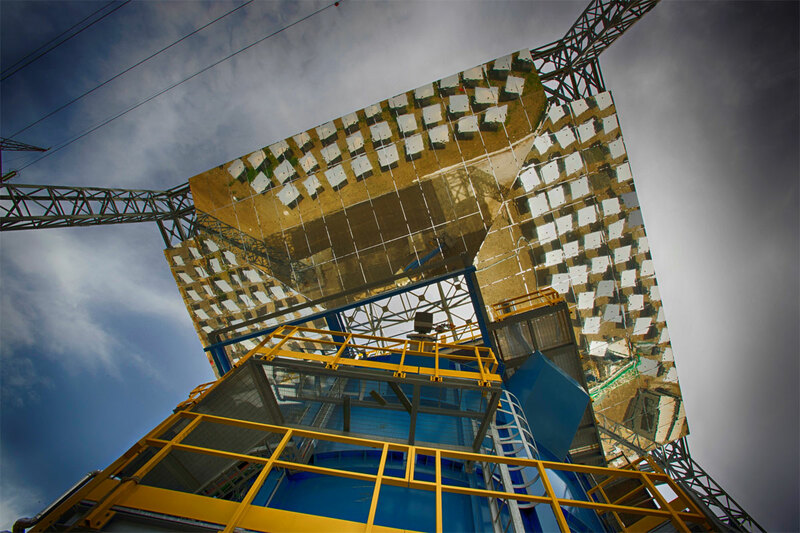 Installed in the Integrated Energy Pole of the A2A Group – the largest Italian multi-utility in the energy sector – this innovative CSP technology is the first one worldwide using sand as thermal energy storage. STEM® technology has been developed and patented by Magaldi Group in cooperation with the Federico II University of Naples and some prestigious institutes of the National Research Council (IRC, INO, ISTEC). Founded in 1929, Magaldi Group is the world’s leading specialist in dependable and environmentally friendly bulk and abrasive material handling systems, pioneering solutions for demanding problems in solid-fuel Power Plants, Metallurgical & Mining companies, Renewables Energy fields. Over the years, Magaldi has developed a broad range of patented technologies able to ensure benefits like high dependability, longer service life, negligible maintenance, water and energy savings, as in the case of STEM® technology. 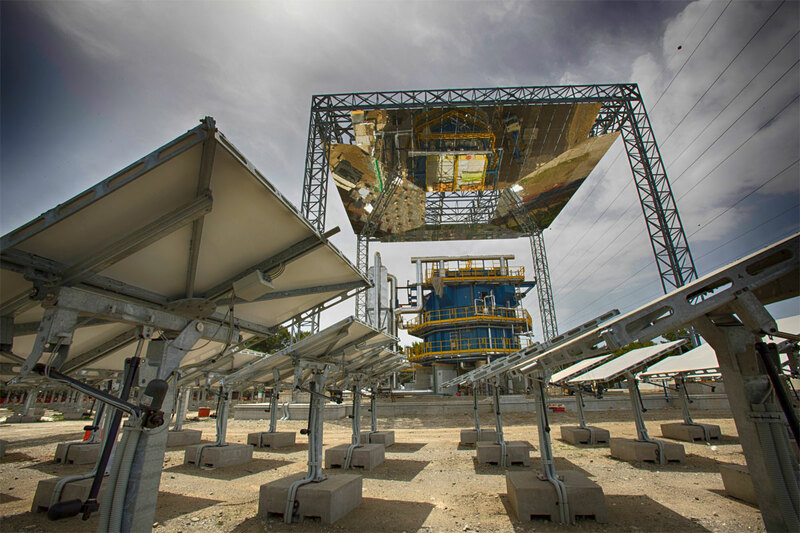 This new CSP system represents a so called “disruptive” technology because it’s able to collect solar energy – through a solar field made of heliostats – and convert it into thermal energy to be used immediately or stored and extracted when desired. STEM® is based on modular units rated 2 MWth each, that can be combined together to produce the required steam flow rate, to be used to generate electricity or heat, in case of cogeneration. Each module is able to generate superheated high-pressure steam at 520°C, to match the dedicated thermodynamic cycle, with 6 hours thermal storage at nominal load. Storage hours will increase accordingly if less power is required. Solar radiation captured by approx. 800 heliostats is concentrated on a secondary reflector (beam down) and subsequently focused in a receiver positioned at ground level. The receiver is based on a fluidized bed technology, which provides both thermal storage and steam generation. This ability makes STEM® particularly suitable to cover the energy needs in remote sites without grid connection, allowing the required energy coverage throughout the day. The great availability of the heat storage and the flexibility of production makes it possible to cover energy needs such as desalination of water, air conditioning and production of industrial steam, thus sustaining the economic and social growth of isolated areas. Compared to existing CSP technologies, STEM® introduces two main innovative elements. First of all, the modularity (it’s to say the combination of a variable number of solar generation units) allows to realize generation systems of different configuration, power and capability (min. 500 kWe – max. 20 MWe). A typical 21,5 MWth plant requires 10 modules. Additional modules can be installed at a later stage, shall the power demand increase. But the main innovation is its ability to store the solar energy and deliver it when needed, even at night or in cloudy periods. Moreover, the absolute absence of emissions into the environment (both in case of normal operation or failures) as well as the non-use of cooling water and any chemicals, makes STEM® technology the best way to produce green energy in remote zones. Even from the standpoint of the landscape plan, STEM® system confirms its commitment towards the enviroment. In fact, compared to traditional Power Tower systems, STEM® does not have a huge visual impact since its highest structure does not exceed the height of 27 m meanwhile other CSP tower systems reach over 100 m.
Reliability: The simple operational process and the modular configuration give STEM® a competitive advantage over other CSP technologies. Even if one module is under maintenance, the other modules guarantee continuity to the production of steam. Flexibility: Fluidized bed technology using sand as storage medium and the possibility to connect the modules in parallel or in series enable the system to generate electricity according to the demand load. Modularity: The base modules can be combined together to meet the required power demand. It is possible to add modules at a later stage, in case demand increases. Hybridization: STEM® technology can be integrated with both renewable and fossil fuel plants, to guarantee a continuous operation, day and night, year-round. The receiver is designed to also allow the combustion of low heating value fuels, such as biogas. Cogeneration: High temperature steam generated by can be used in several industrial applications such as district heating and cooling, water desalinization, agricultural greenhouses. Environmentally friendliness: STEM® technology only uses absolute eco-friendly materials: glass for heliostats, steel for structures and sand for thermal storage, so that, even in case of decommissioning or at the end of its working life, all materials are completely recyclable.